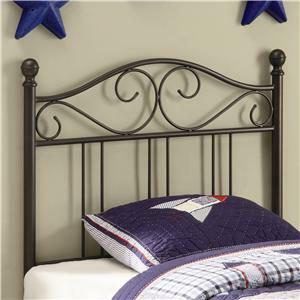 Create a warm and inviting style in the youth bedroom in your home with this pretty metal headboard. The piece features a matte dark finished metal, with swirling accents, a curved crown, and sphere finials. Spice up the twin bed in your home with this transitional style metal headboard. This piece requires a bed frame. Bed frame sold separately. 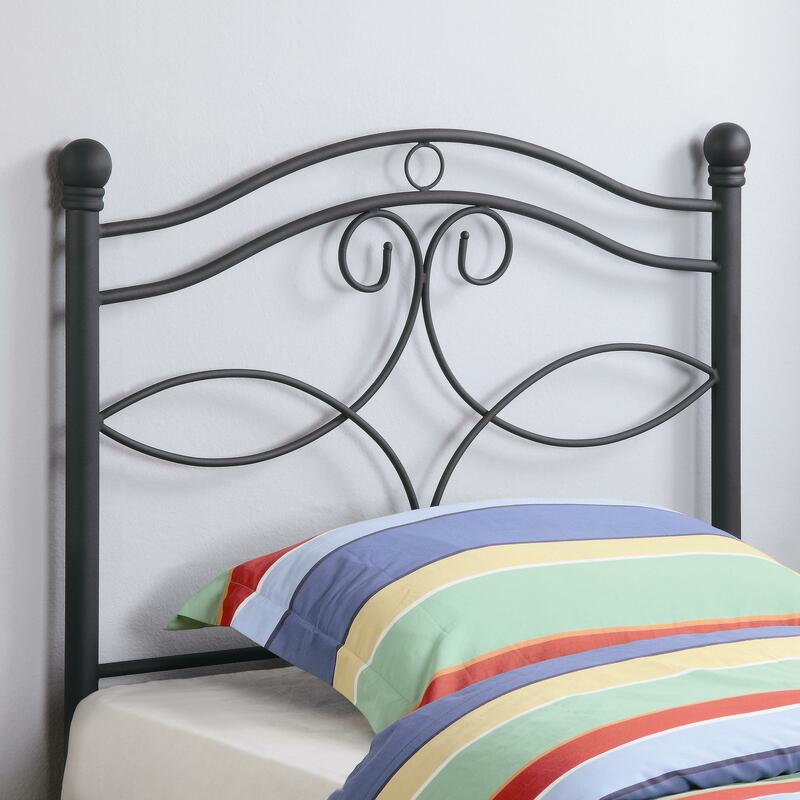 The Youth Beds Transitional Twin Metal Headboard by Coaster at Value City Furniture in the New Jersey, NJ, Staten Island, Hoboken area. Product availability may vary. Contact us for the most current availability on this product. The Youth Beds collection is a great option if you are looking for Casual furniture in the New Jersey, NJ, Staten Island, Hoboken area.